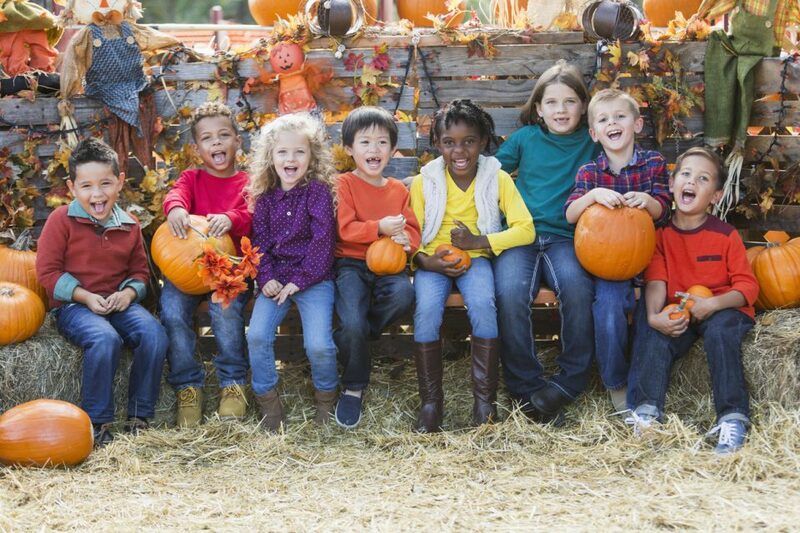 Experience fall-time fun that the entire family can enjoy at Hunsader Farms. This nearby location is filled with history, beauty, and exciting activities that visitors of all ages love. From petting zoos to farm markets, Hunsader Farms has it all! Hunsader Farms was started back in 1967by three brothers who wanted to try their hand at vegetable farming. The brothers had grown up on a dairy farm, but they wanted to embark upon a new journey of their own. Over the years, the farm progressed and business grew. Then, by 1990, the brothers handed the farm over to the next generation of sons. Once the younger generation took over the property, they added attractions and hosted events at the farm, making a place that felt warm and inviting to the community. It hasn’t stopped growing since! Purchase all of the fresh fruit and vegetables you need at Hunsader Farms. The homegrown vegetables are picked daily. Therefore, you always have access to the freshest options. The market also features lots of homemade items such as jam, jelly, honey, and much more. Be sure to grab yourself a jar before you leave the premises! The farm market is open Monday through Saturday from 8 a.m. until 4 p.m.
You can also select fresh items yourself from the U-Pick fields. The fields are open from 8 a.m. until 3:30 p.m.
*Entry into the U-Pick fields is prohibited after 3:15 p.m.
There’s fun for the kids at Hunsader Farms! Take them out to the large playground, or walk over to the petting zoo and introduce them to a few furry friends. The petting zoo is home to lots of friendly animals including a deer, a camel, alpacas, pigs, bunnies, mini donkeys, sheep, lemurs, peacocks, geese, chickens, parakeets, and many more! Your family can receive admission into the playground and petting zoo for $5 per person. Do you have small babies that you’d like to carry along with you? Take kids 12 months and under without charge. This season, mark your calendar for the 26th Annual Pumpkin Festival! Each day of this upcoming event will feature a variety of exciting activities and games. Some of these activities include a craft show, pony rides, live music, chainsaw sculptor, zip line, a corn maze, face painting, trains, pumpkin games, and more. PLUS, there will be lots of delicious food offered at this festival as well. A good number of the activities at the festival come free with admission. So, you don’t have to worry about spending an arm and a leg to have a good time. The pumpkin festival will take place on October 14-15, October 21-22, and October 28-29. Admission is $10, and parking is $5 per car. Oh, and children age 12 and under get in FREE! **Find information about this year’s entertainment, here. Are you in need of a vehicle to get you to Hunsader Farms? Stop by Hendrick Honda Bradenton in Bradenton, FL and allow our professionals to assist you with a new purchase or expert maintenance procedure. We’ll have you back on the road in no time!